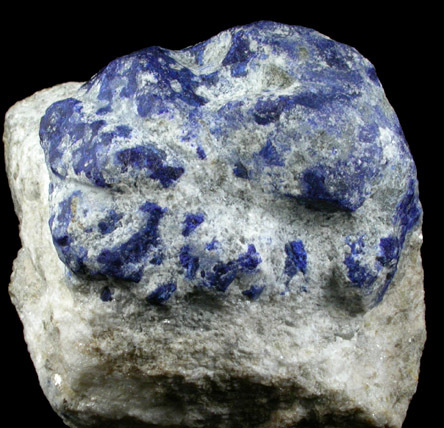 Description: Two large lazurite compound crystals on white marble with deep indigo-blue color and remnants of white marble in crevices. 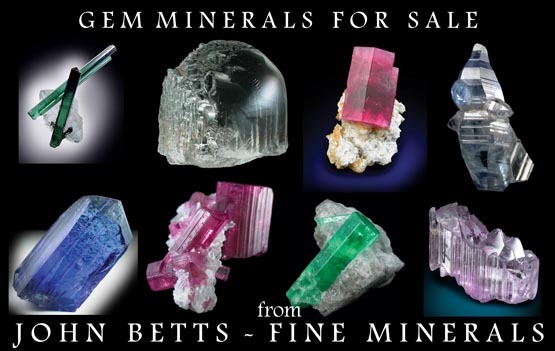 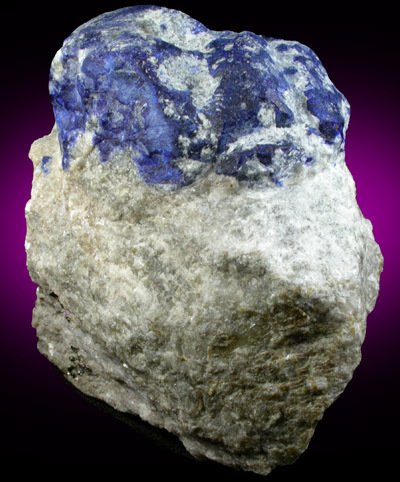 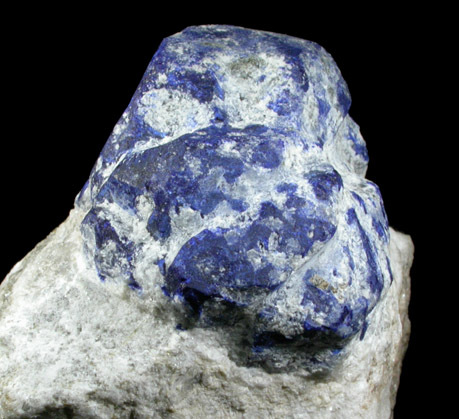 More marble could be removed to expose the lazurite crystals. 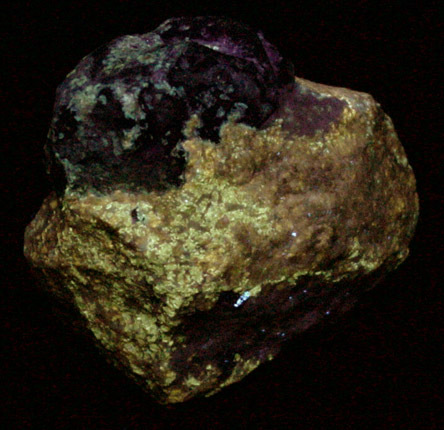 Yellow-metallic pyrite crystals are scattered throughout.